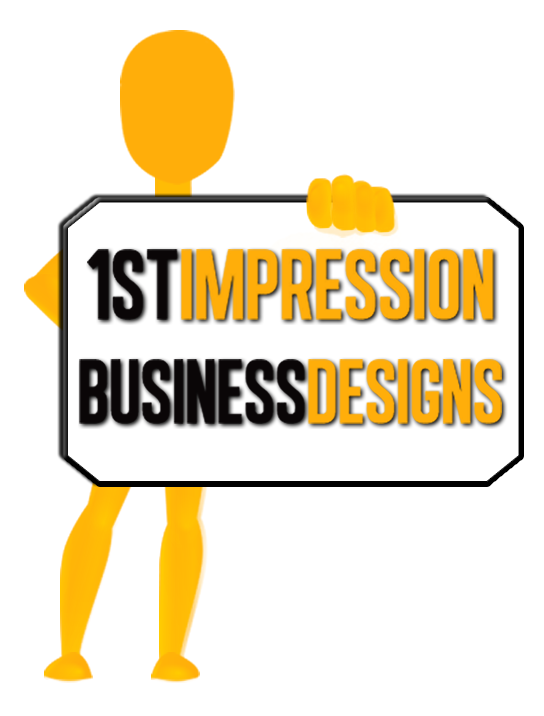 Thank you for choosing 1st Impression Business Designs as your website / graphic development solution. In this section you will be able to use our online safe, secure PayPal system to pay via a credit card. All credit card transaction payments will have a 4% additional charge added to the total balance. Please click on the “Payment” logo below to be redirected to the secure portion of the website where you can pay your balance. Please have your intemized invoice with the amount owed provided by a 1st Impression Business Designs technician to assit you with this payment. I acknowledge being a satisfied customer with my services provided on this day. I authorize 1st Impression Business Designs to debit the bank account indicated in this web form, for noted amount on today’s date. I understand that because this is an electronic transaction, these funds may be withdrawn from my account as soon as the above noted transaction date. I acknowledge that the origination of ACH transactions to my account must comply with the provisions of U.S. law. I will not dispute merchant debiting my checking/savings account, so long as the amount corresponds to the terms indicated in this web form. I agree to release and hold harmless 1st Impression Business Designs from any and all liability associated with the website development or service, and acknowledges also that 1st Impression Business Designs offers no explicit or implied warranty or guarantee on services performed. Thank you again for using 1st Impression Business Designs.